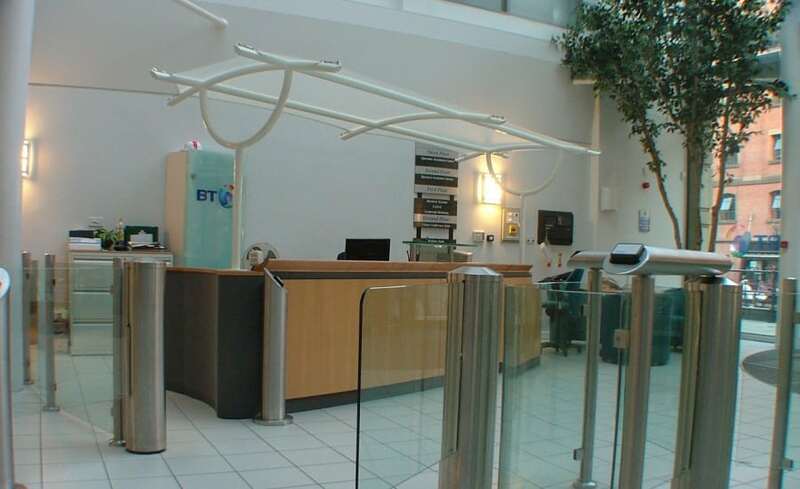 A solar glare problem within the reception area of BT’s Castle Wharf offices in Nottingham led to an approach to Architen Landrell to design and provide a solution. 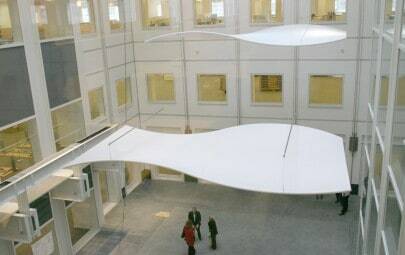 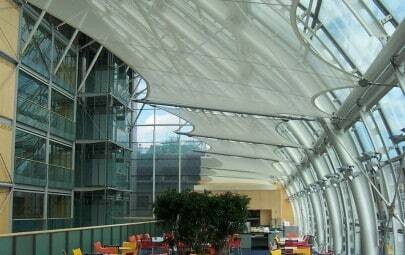 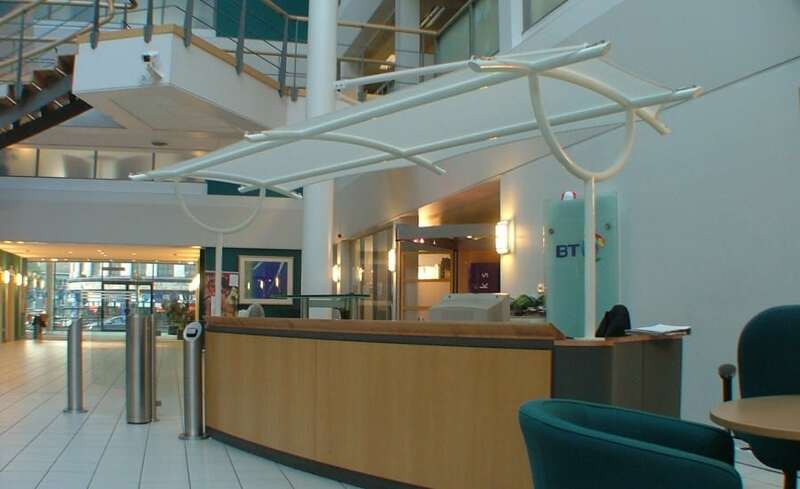 We had previously installed tensile fabric canopies within the building and were asked to come up with a similar proposal. 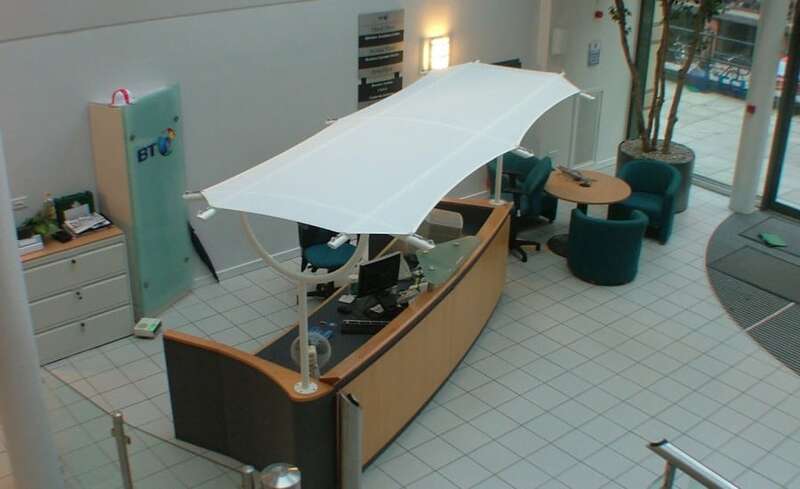 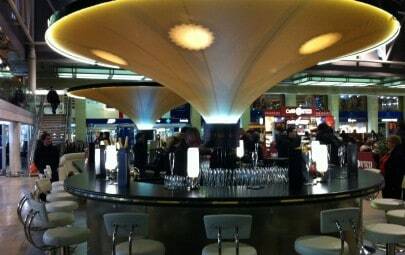 A site survey soon revealed that suitable fixing locations in the surrounding structure were insufficient for supporting a tensile sail above the reception desk, so the design was developed into a self-supporting framework mounted directly to the reception desk. 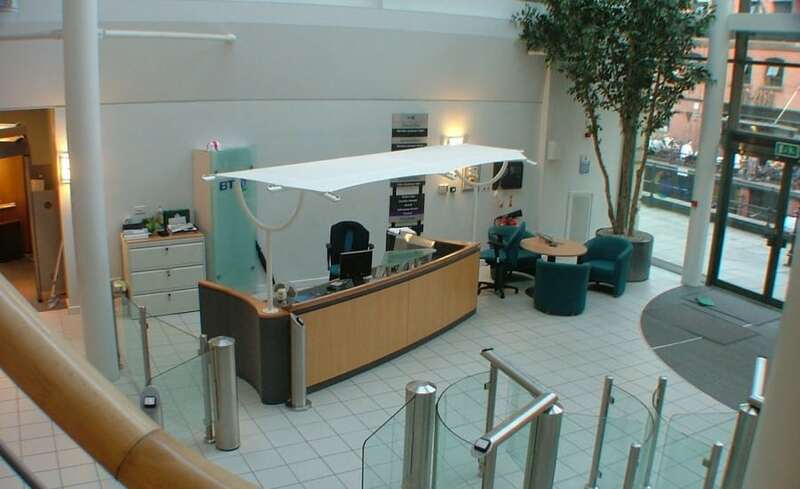 The final solution, whilst significantly improving the working environment for staff on the reception desk, is considered to be an aesthetically pleasing structure that fits in well with the nautical wharf location and compliments general decor and ambience of the reception area.